The 'crystal blue' Franklin Mini Roll™ is designed to comfortably support the spine, legs and shoulders while performing the Franklin Method exercises. 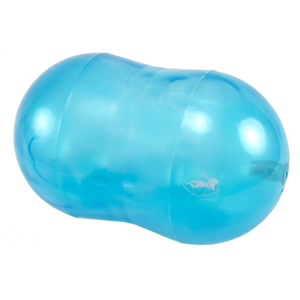 The compact size and peanut shape massages the back and rolls away tension from the legs and shoulders. Perfect for increasing the strength of the pelvic floor. Approximately 3¾" dia. x 6¼" L. Latex- and phthalate-free.